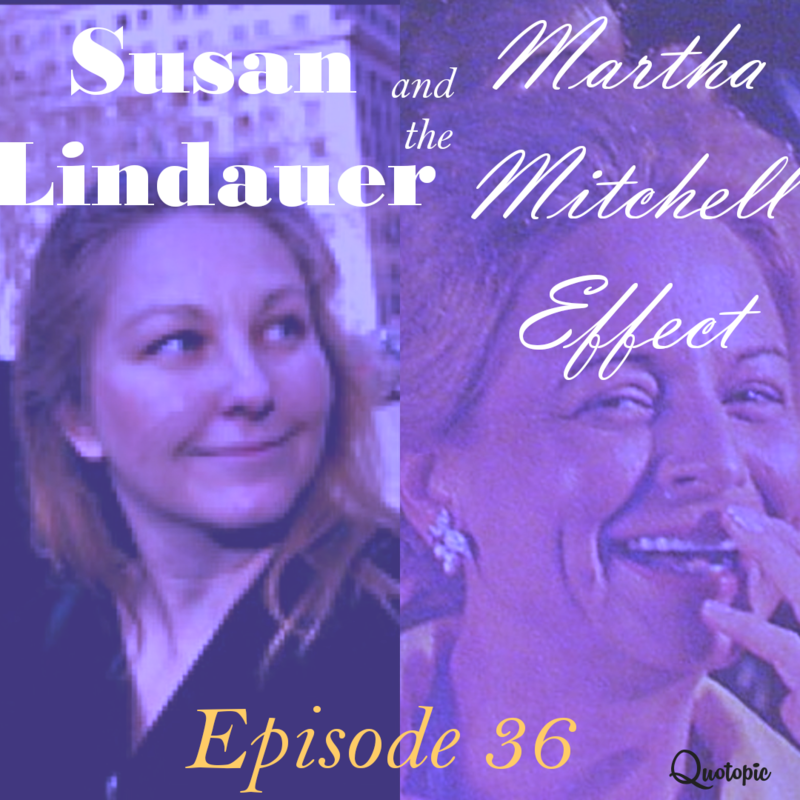 The Martha Mitchell Effect: a clinical term for when someone (usually female) is labelled mentally ill for reporting truth stranger than fiction, with or without a history of insanity. Named for Martha Mitchell, of course, the woman notorious for drinking, gossiping… oh, and blowing the whistle on Watergate. Her life was ruined by the defamation that followed, and her subsequent death was not the end of the scapegoating of truth tellers. In 2004, Susan Lindauer, a political peace activist, was arrested for colluding with the Middle East and “predicting” 9/11. She was labelled insane and sent to a psychiatric hospital for insisting that her story of innocence was real. The more she insisted, the crazier the law believed her to be.